There are hills throughout the course. The elevation again is approximately 17,000’ for the 100 Mile and 9,000’ for the 100 Km. Of course, there is equal downhill (what goes up must come down!) – so train the quads for that! NOTE: 100K runners: you have one half mile moderate hill at 3.2 miles. Subtract 38 miles from the mileage points below to get the correct 100km mileage. You can access the 100-km elevation profile here. The 100 mile course will be marked with large yellow plastic dinner plates, with bold dark black arrows indicating direction (right, left or straight). Where the course turns, there will be one arrow plate BEFORE the turn, two plates at the turn, and another plate AFTER the turn. On some stretches you will see confidence plates which are smaller plates with a large C on it, to assure you that you are still on course. The 100K will be marked with LAVENDER plastic dinner plates only until it joins the 100 Mile course (at Lillian’s Aid Station), at which point everyone will follow yellow plates. At night, in addition to the plates, there will be green glow stick chem-lites marking the route. We will note future course changes as we become aware. All drop bags bags must be in place on Silver Hill by 4:30pm on Friday, July 20th. Again this year, the energy drink that will be provided at aid stations is Base Performance Hydro. All runners will also be given a tube of the Base Performance Electrolytes, to use in conjunction with the Hydro. If you plan on using these products, it is strongly suggested that you order and try both in your training. 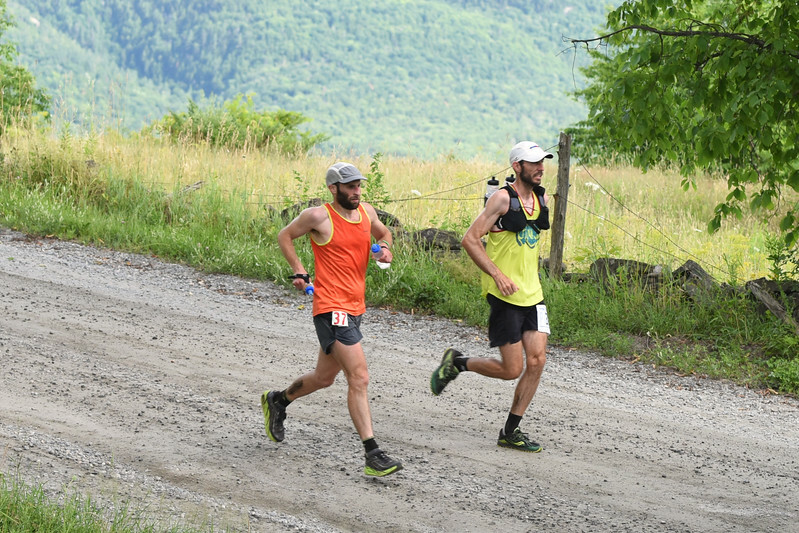 Aid Stations will also have an assortment of the following: chips, fruit, M&M’s, cookies, candy, peanut butter and jelly, turkey sandwiches, and potato chunks. There will be soup, broth, coffee, tea, and hot chocolate at some stations after dark. Many aid stations will have special treats to share with you also (who doesn’t love a Cheeseburger in Paradise at Margaritaville?). Unfortunately, no. When using your own gels, please hold the wrappers and dispose of them at the next aid station. Do not discard on the roads or trails. Absolutely no littering will be tolerated. We pride ourselves on being Green. 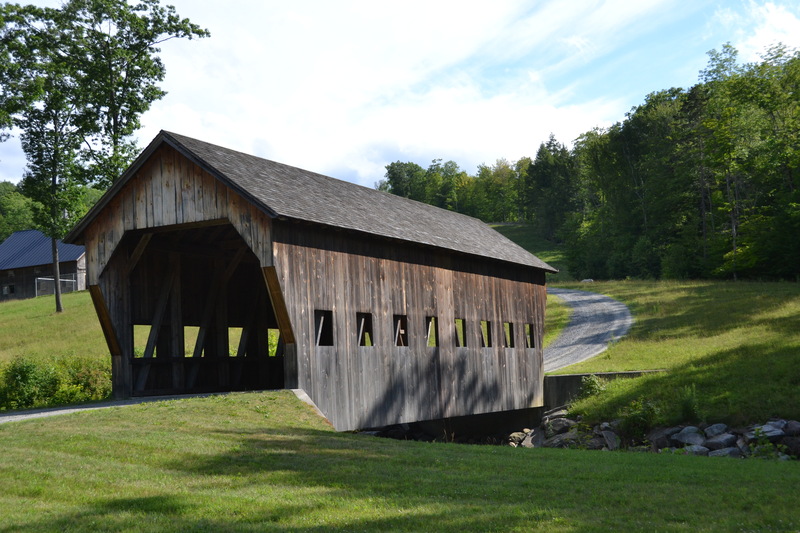 After all, Vermont is the Green Mountain State! For the 100 K, the first male will finish in about 9.5 hrs (6:30 p.m.) and the first female in about 11 hrs (8:00 p.m.). The course record is faster than these times listed above…so you never know how speedy the top runner will be each year! The races start slightly downhill from the main tent on Silver Hill Meadow, under the starting line banner. The 100 mile starts down Silver Hill, while the 100km starts going up Silver Hill. 4:15 p.m. Friday in the main tent on Silver Hill Meadow. The horses will not run you over; they actually want to slow down to your pace. 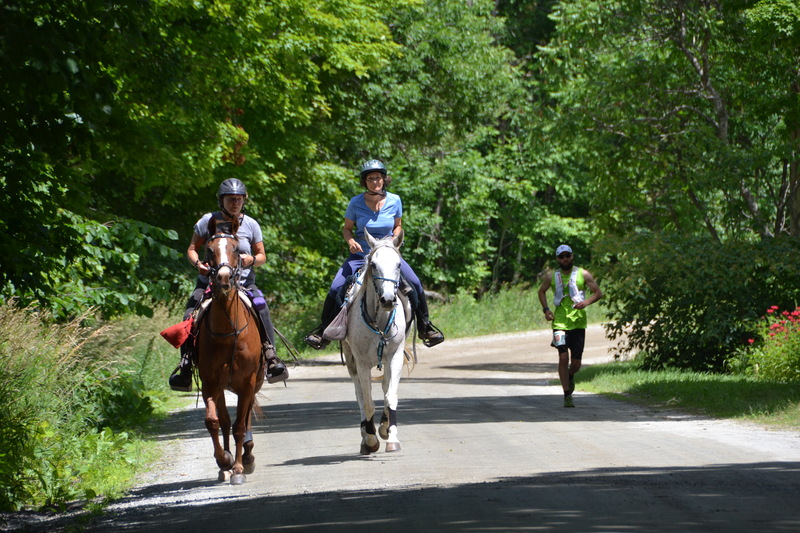 If a horse and rider want to pass you, they will ask you to step aside. If you want to pass a horse, speak with the rider and wait until they says it’s okay. At night, in particular, talk to the rider as soon as you’re within earshot; until the horse knows you are a human, the horse may be frightened. And above all, don’t point your bright flashlight towards horses – they like that even less than us runners do! There is one very rustic shower available in woods near the camping area on Silver Hill. There is also a small pond for swimming.